Caution: I am the heart penetrating and melting kind of Radar. Radar is up for adoption and will be at the Petco adoption events every Sunday from 2 to 5 until he's adopted. Well, that's a bit disappointing for those of us who remember "Mash." "Big Ears, Tiny Tales" is treating us to "Sqee Detectors" today, so I guess it is another theme day across the bunny blog sheer. I am strongly suggesting we all take cover. Beautiful rabbit. 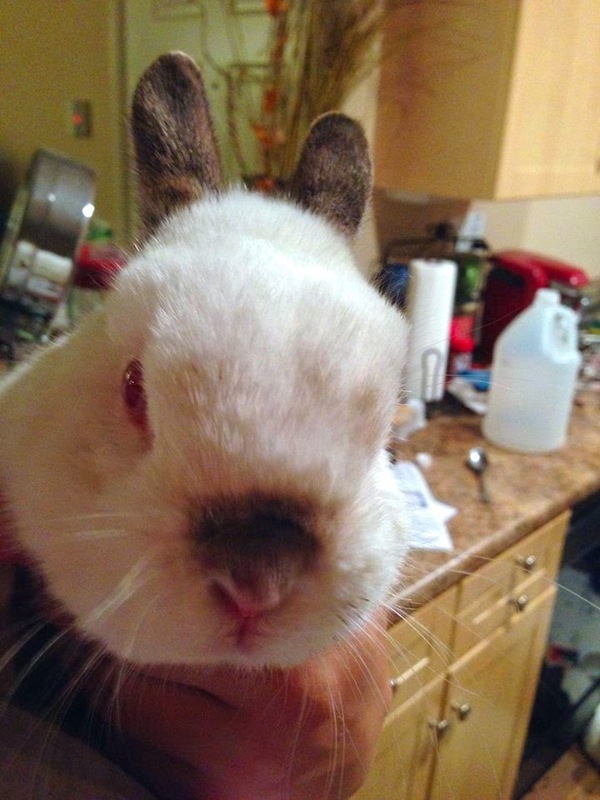 Yes, Pasadena, get over to the Petco and bring this bun to his right and proper home. Look at that stern bunny face! And ears in their backwards-pointing position! Radar does NOT Approve Of us! It's nom, nom and it's gone! Mr. Buns says... don't be late.